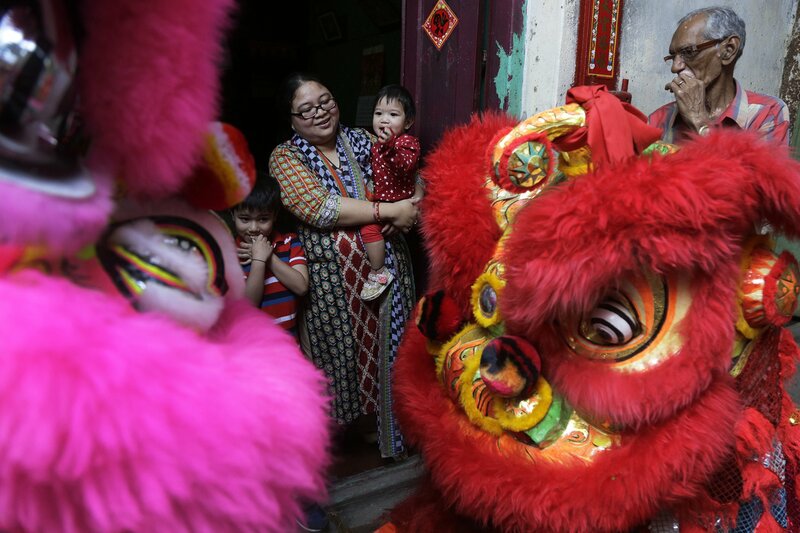 An Indian man, right, looks on as an ethnic Chinese woman and her children watch a lion dance procession on the first day of Chinese lunar new year in Kolkata, India, Feb. 16, 2018. It was a week of horror and hope. World events were filled with both hope and tragedy this week, as Olympic athletes soared to victory and demonstrated feats of athleticism and persistence, and elsewhere victims of violence mourned their losses. Amid allegations of corruption and facing a disastous drought, South Africa’s president Jacob Zuma resigned. In Syria, which remains trapped in a tangled series of devastating conflicts, teams of rescuers continued to brave the rubble and other dangerous conditions to save their neighbors. And on Tuesday, another mass shooting at another US school stunned the world this week and galvanized millions of people to demand meaningful action that would prevent the epidemic of gun violence. Despite the horrific events in Florida, Syria, and elsewhere, the Olympics continued to unite people from around the world — including athletes from countries long considered adversaries. Hockey players from North and South Korea joined forces on a combined women’s team that faced off against Switzerland, Sweden, and Japan this week. 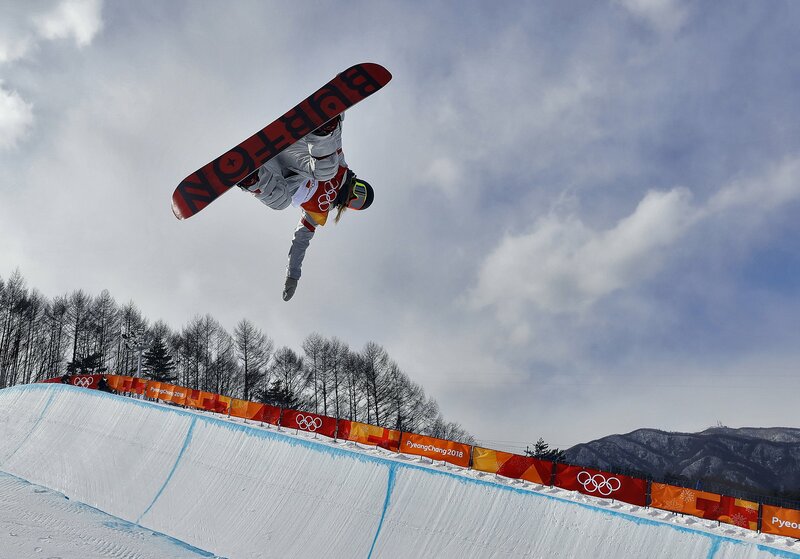 And US snowboarder Chloe Kim’s halfpipe mastery — capped off by stylish, back-to-back 1080s — electrified winter sports fans and highlighted the story of her determined parents, immigrants from South Korea. 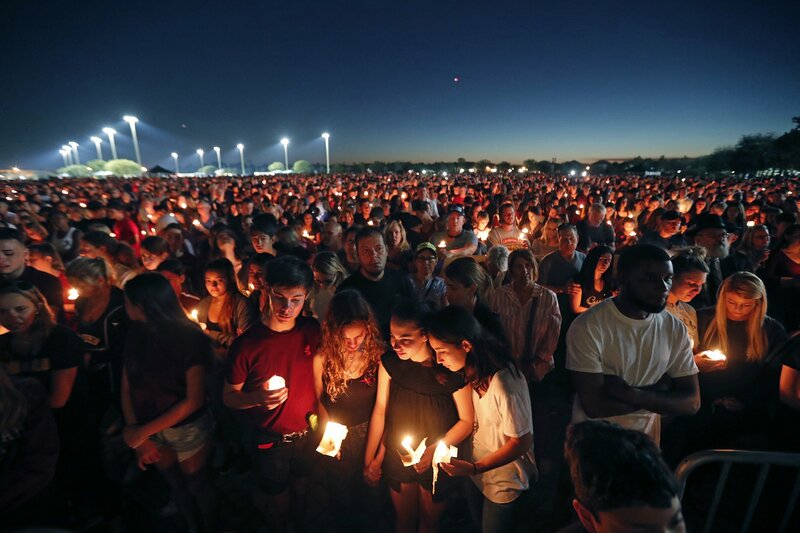 1) Florida School Shooting: People attend a candlelight vigil for the victims of the Wednesday shooting at Marjory Stoneman Douglas High School, in Parkland, Fla., February 15. Nikolas Cruz, a former student, was charged with 17 counts of premeditated murder on Thursday. 2) South Africa Politics: Supporters of the African National Congress—South Africa's ruling party—and new President Cyril Ramaphosa sing and dance after the election by the Members of Parliament outside the South African general assembly on February 15 in Cape Town. South African lawmakers elected wealthy former businessman Cyril Ramaphosa as the country's new president after scandal-tainted Jacob Zuma resigned under pressure from his own ANC ruling party. Ramaphosa was elected without a vote after being the only candidate nominated in the parliament in Cape Town. 3) Lunar New Year: An Indian man, right, looks on as an ethnic Chinese woman and her children watch a lion dance procession on the first day of Chinese lunar new year in Kolkata, India on February 16. People in Asia and around the world are celebrating the Lunar New Year on Friday with festivals, parades and temple visits to ask for blessings. This year marks the year of the dog, one of the 12 animals in the Chinese astrological chart. 4) A United Korea in Pyeongchang: North Korean cheerleaders wave the Korean unification flags and cheer during the women's preliminary round ice hockey match between Japan and the Unified Korean team during the Pyeongchang 2018 Winter Olympic Games at the Kwandong Hockey Centre in Gangneung on February 14. 5) Immigration in the United States: A man holds a poster as he attends a protest in support of immigration in Herald Square on February 10 in New York. Immigration reform in the US came to a standstill this week when both a bipartisan deal and a White House approved proposal were both defeated in a vote. 6) Syria White Helmets: Forty-five-year-old Samir Salim (L), who along with his three brothers are members of the White Helmets rescue forces, sits in the rubble of his home in the town of Medeira in Syria's rebel-held Eastern Ghouta area on February 12. For years, Samir Salim and his brothers rescued neighbors and relatives pinned underground after bombardment on Syria's rebel-held Eastern Ghouta. But last week, they could not save their own mother. 7) Agriculture in India: Indian farm workers plant seeds in a field on the outskirts in Jalandhar on February 16. 8) Nepal Daily Life: Nepali school students play at a football ground at Bahuneypati, some 43 miles northeast of Kathmandu, on February 15. 9) Chloe Kim in Pyeongchang: Chloe Kim, of the United States, runs the course during the women's halfpipe qualifying at Phoenix Snow Park at the 2018 Winter Olympics in Pyeongchang, South Korea, February 12. Kim is the daughter of Korean immigrants who were in attendance and cheered their daughter alongside Kim's grandmother who traveled from Seoul to see her compete. 10) Barack and Michelle Obama's Portraits: Former President Barack Obama and First Lady Michelle Obama stand beside their portraits after their unveiling at the Smithsonian's National Portrait Gallery in Washington, DC, February 12. At the ceremony Michelle Obama shared why her official portrait matters to young girls, "I'm also thinking about all of the young people, particularly girls and girls of color, who in years ahead will come to this place, and they will look up, and they will see an image of someone who looks like them hanging on the wall of this great American institution." 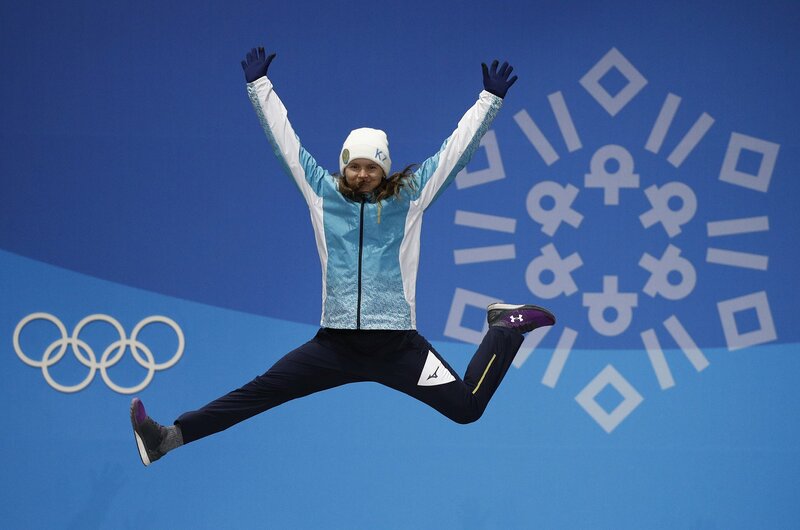 11) Olympics Celebration: Women's moguls bronze medalist Yulia Galysheva, of Kazakhstan, celebrates during the medals ceremony at the 2018 Winter Olympics in Pyeongchang, South Korea, Monday, February 12.